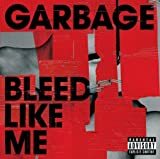 Garbage seems to have made an impressive comeback with this release. Speaking for myself, many people had a sour taste left in their mouths with the previous release "Beautiful Garbage", but I rather enjoyed it. Having said that, I still have to agree with most fans that this is perhaps one of their best albums to date. This album is a lot more rock and a little less trippy and electro-driven than the past few have been. The songs are very strong, and there seemed to be little room for fillers, this is certified rock. Most bands that are mostly hybrid-based like Garbage have a problem pulling this off, but then again Garbage has never really had trouble making good music. From the very beginning to the very end, it's an exciting album that grabs your attention and doesn't let go. Again, just good music. Good Music is exactly what you'll find here, 11 tracks of flawless enjoyment.